Highlighting is a trend that isn't going away anytime soon—and we're definitely not complaining. Who doesn't want to that halo effect? But there's an art to finding the perfect highlighter for you. "[It's] all about the finish you want, achieving your ideal radiance and lit-from-within quality. You can highlight the skin with metallic, opalescent, wet, or glossy highlights," says Glamsquad Director of Artistry Kelli J. Bartlett. "It's also key to find a product (powder vs. cream) that works with your skin’s natural moisture and oil balance. Drier skin tones should work with cream products to infuse moisture while oilier skin tones should opt for powder to offset the existing oil." Strategically placing the highlighter is also important for Bartlett. Key areas of the face include the tops of the cheekbones, the Cupid's bow, the nose, and the inner corners of the eyes. She is also a fan of highlighting the clavicle. "A general rule is to highlight the areas on your face or body that you want to stand out, reflect light, or grab attention," she says. Not all highlighters are made the same. Some are different shades of pink. Some go on icy white. Some go on translucent and give off dewy vibes. To figure out which shades work best on specific skin tones, we asked her to break it down for us. 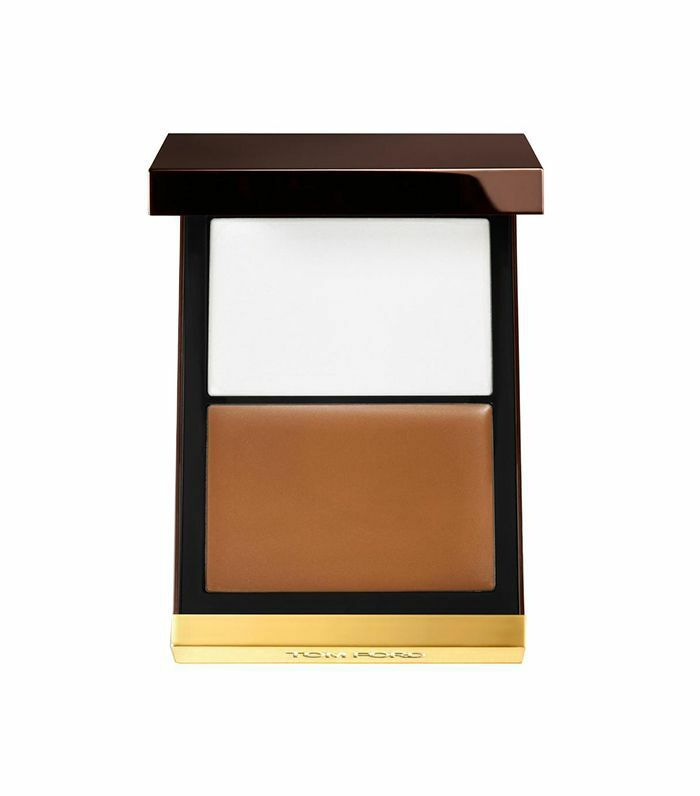 Scroll down to see which highlighters are best for your skin tone. "You want to choose a highlight that is adding brightness with a white, icy undertone in order to illuminate the fairness," says Bartlett. Her pick is the Glossier Haloscope in Quartz. This highlighter is such a cult classic for dewy #goals. It's actually infused with crystal extracts for that shine and essential oils for that out-of-the-shower look. "Champagne hues aren't as stark and bright, so they highlight the skin without a sharp contrast, adding a little bit of gold and silver flecks to medium skin tones," says Bartlett. Her pic is the Becca Shimmering Skin Perfector Pressed Highlighter in Champagne Pop. Its pigments adjust to your skin's natural undertones and give you the ultimate high-shine. Champagne Pop is a pretty shade of soft gold with peach underneath it. "This slightly warmer version of champagne with a touch of rose undertone adds an extra layer of dimension to the already existing warmth of medium to dark skin tones." says Bartlett. "The rose color also helps to counteract any sallow undertones." Her pick is the MAC Cream Color Base in Hush. 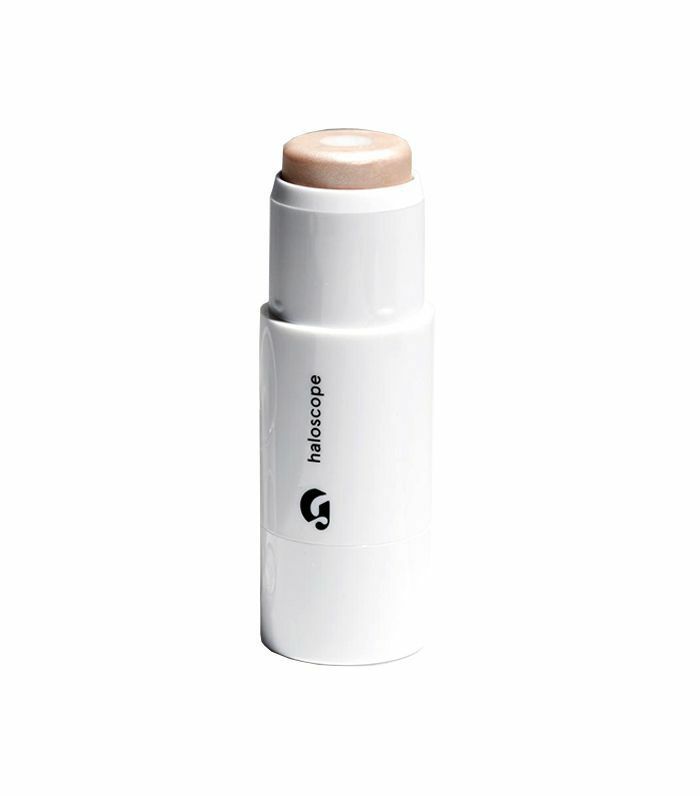 Its creamy formula gives a very nice dewy finish. It lasts up to eight hours, and you can go from sheer to intense color because of its great buildability. "[It] can enrich the skin tone," says Bartlett. "Play with bronze, gold, and copper colors to really bounce light off the skin without too much contrast." 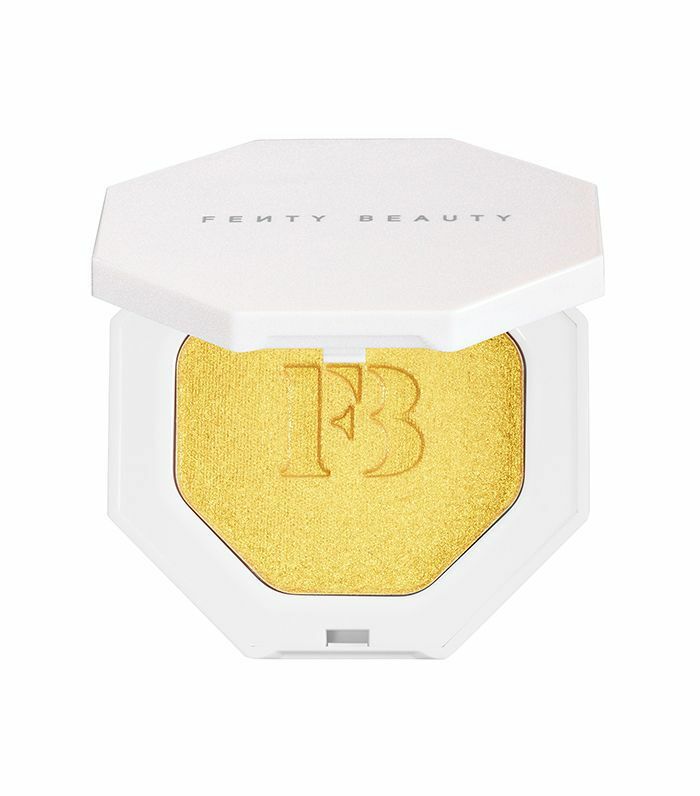 Her pick is Fenty Beauty by Rihanna Killawatt Freestyle Highlighter in Trophy Wife. Team Byrdie is OBSESSED with this highlighter. 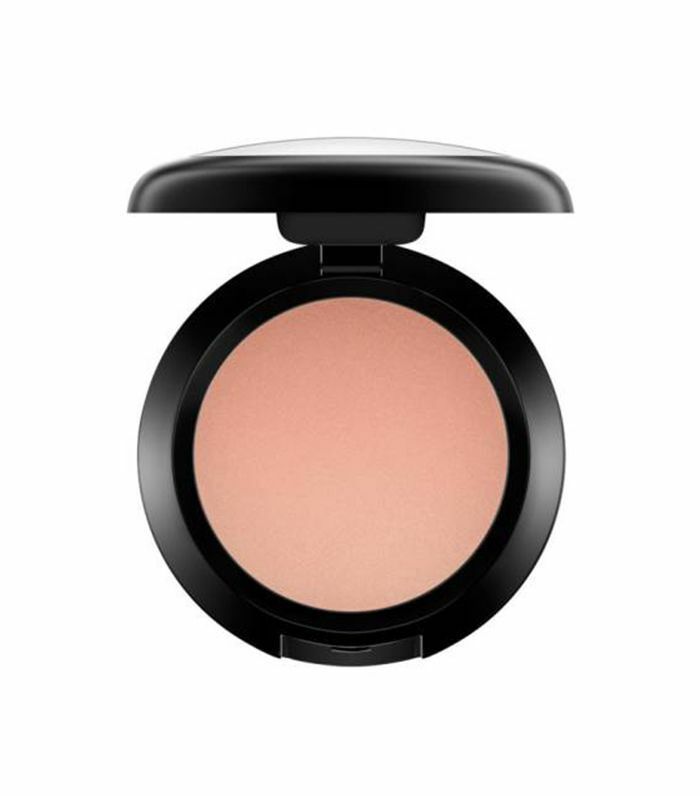 The cream-to-powder formula feels so light, that you will think you're not applying any product on. 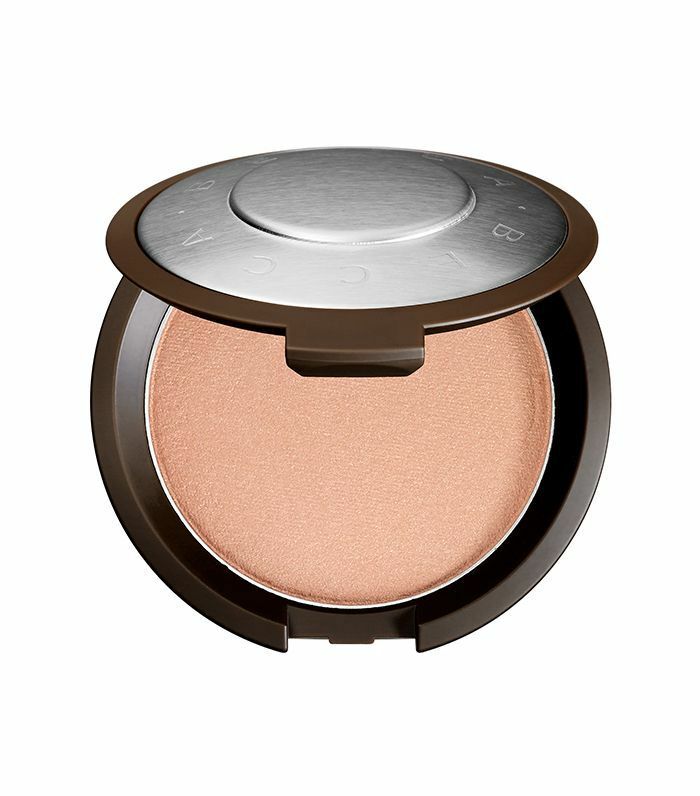 But don't be fooled; it is packed with shimmer to give you that killer glow. Bartlett believes crystal wet highlights are universal. An example of this is the Tom Form Shade & Illuminate. "The illuminate side is gloss clear and beautiful on all skin tones. Next up, check out the fall nail art we're excited about.